Patients who have either cataract or lens replacement surgery can now benefit from a wide range of intraocular lenses (IOLs). Traditional IOL solutions for treating presbyopia include Multifocals and Trifocals, which work on the principle of simultaneous vision by splitting light into multiple distinct foci and Accommodative IOLs, which change in shape and power when the ciliary muscle contracts. 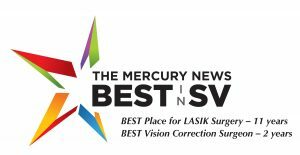 Traditionally with these technologies, the correction of presbyopia is commonly thought of in terms of the distinct distance for which functional vision is provided. 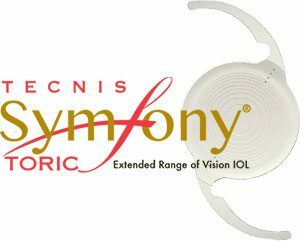 The TECNIS Symfony Extended Range of Vision IOL delivers a continuous, full range of high-quality vision with incidence of halos and glare comparable to a monofocal IOL. The TECNIS® Toric provides the stability and precision for astigmatism correction with the proven, advanced optics, materials and design found in every TECNIS® IOL. 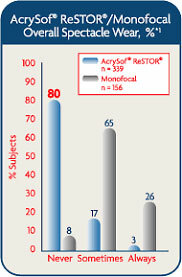 The AcrySof® ReSTOR® IOLs are multifocal lenses that combine apodized diffractive and refractive optics to deliver excellent near, intermediate and distance vision without reading glasses or bifocals in most cases. The lenses are comprised of 9-12 concentric rings of gradually decreasing heights which create different focusing levels and produce a full range of quality vision from near to far. 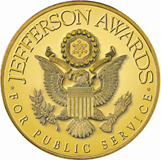 The Crystalens® accommodating lens was approved by the FDA in 2003. Rather than using the graduated focusing spheres of the multifocal lens, the Crystalens® accommodating lens is moved by the eye’s natural ciliary muscle. This mimics the way the eye would naturally focus at a wide range of distances and provides continuous, naturally-focused vision through all distances, including the intermediate range. The Tecnis Multifocal® lens is specially designed to provide patients with superior vision throughout a wide range of focal lengths and even allows patients to see clearly in low light. 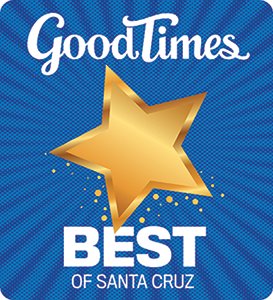 It features multiple refractive zones that enhance uncorrected vision at close (i.e. reading) and far (i.e. driving) distances. In fact, clinical trials show that nearly 9 out of 10 patients do not need glasses at all after receiving a Tecnis Multifocal® lens. If you have complications with your vision while driving at night, the Tecnis Multifocal® Aspheric IOL can significantly help to restore your vision. The lens is implanted during cataract surgery. Clinical trials have shown that four to six months post-Tecnis Multifocal® implantation, 84% of patients had 20/20 vision or better, 14% had 20/25 to 20/40 vision and 1% had 20/50 to 20/100 vision. The TECNIS Toric® 1-Piece intraocular lens implant is used to replace the natural lens that is being removed during cataract surgery. 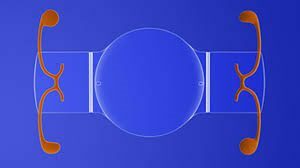 The TECNIS Toric® provides visual correction of aphakia and astigmatism of one diopter or greater in adult patients with or without presbyopia. 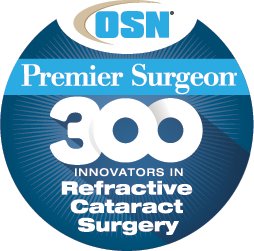 This lens is clinically found to reduce or even eliminate dependence on glasses or contact lens for distance after cataract surgery. This lens is the latest addition to the TECNIS Toric® platform and provides that same proven optics and materials found in every TECNIS Toric® lens.